GDP of the first quarter of 2019 increased by 6.79% compared to that of the same period last year, lower than the growth rate of the first quarter of 2018 but higher than the growth of the first quarters of 2011-2017. Statistics show that the industry and construction sector contributed the most to GDP growth this year, with a contribution of 51.2%, the agriculture, forestry and fishery sector increased by 2.68%; industry and construction sector increased by 8.63%; and service sector increased by 6.5%. In the agricultural, forestry and fishery sector, the agricultural sector increased by 1.84% over the same period last year, much lower than the 3.97% increase of the first quarter of 2018, contributing 0.17 percentage points to the growth rate of total added value of the whole economy. In industry and construction, industry increased by 8.95% over the same period last year, contributing 3.14 percentage points to the increase in total value added to the whole economy. The main growth driver of the economy in the first quarter of 2019 is the processing and manufacturing industry with an increase of 12.35%, lower than the 14.3% increase of the first quarter of 2018, but higher than the increase in the first quarters of 2012-2017, making a major contribution to the increase in total added value with 2.72 percentage points. The mining industry experienced negative growth in the first quarter (-2.2%), reducing by 0.15 percentage points the total value added of the whole economy due to a 10.3% decrease in crude oil production and gas natural burning decreased by 2.4%. Construction industry in the first three months of this year maintained a good growth rate of 6.68%, contributing 0.39 percentage points. In the service sector, the contribution of a number of industries with a large proportion of overall growth such as wholesale and retail increased by 7.82% compared to the same period last year, which is the industry with the highest contribution to the growth rate with 0.95 percentage points. Accommodation and catering services increased by 6.22%, contributing 0.3 percentage points; finance, banking and insurance activities increased by 7.71%, contributing 0.36 percentage points; real estate business increased by 4.75%, contributing 0.32 percentage points. From the perspective of using GDP in the 1st quarter, final consumption increased 7.09% compared to the same period in 2018; asset accumulation increased by 6.2%; export of goods and services by 6.81%; and imports of goods and services increased by 8.7%. According to the report of Foreign Investment Agency, Ministry of Planning and Investment, FDI in the first quarter of 2019 achieved a record high of the value of registered investment capital over the same period in the last three years (in 2016 reached US$4 billion, 2017 US$7.71 billion and 2018 US$5.8 billion). As of March 20, 2019, total newly registered capital, increased and contributed capital to buy shares of foreign investors reached US$10.8 billion, up 86.2% over the same period in 2018. In addition to the reduced capital adjustment compared to the same period, investment capital still increased strongly in the two new components and capital contribution. Specifically, the country has 785 new projects with total new registered capital of US$3.82 billion, up 80.1% over the same period in 2018. In the first quarter of 2019, it is estimated that disbursed investment reached US$4.12 billion, up 6.2% over the same period in 2018. Generally in the first quarter of 2019, the FDI sector had trade surplus of US$7.57 billion, including crude oil. According to investment partners, there are 74 countries and territories with investment projects in Vietnam, of which Hong Kong is the leader with a total investment of US$4.4 billion, accounting for 40.7% of total investment capital. Singapore ranks second with a total investment of US$1.46, accounting for 13.5% of total investment in Vietnam. Korea ranks third with total registered investment capital of US$1.3 billion, accounting for 12.2% of total investment capital. China and Japan rank fourth and fifth with a total registered capitals of US$1 billion and US$700 million, respectively. According to investment location, foreign investors have invested in 49 provinces and cities, in which Hanoi attracts the most foreign investment capital with a total registered capital of more than US$4.15 billion, accounting for 38.4% of total investment capital. Ho Chi Minh City ranks second with a total registered capital of more than US$1.57 billion, accounting for 14.5% of total investment. Binh Duong ranks third with a total registered capital of US$625.6 million, accounting for 5.8% of total investment capital. Regarding capital contribution in the first quarter of 2019, Beerco Limited (Hong Kong) contributed US$3.85 billion to Vietnam Beverage Co., Ltd, targeting to produce brewing and malt brewing beer in Hanoi; Goertek Co., Ltd (Hong Kong) invested US$260 million manufacturing electronic equipment, network equipment and multimedia products in Bac Ninh. Guizhou Advance Type Investment Co., Ltd (China) invested US$214.4 million in Project of Advance Vietnam Tire Co., Ltd producing and consuming tires, rubber and other products in Tien Giang. Royal Pagoda Private Limited (Singapore) invested US$200 million in Vinhtex project producing fabrics and dyeing knitted fabrics in Nghe An; Universal Alloy Corporation Asia Pte., Ltd (Singapore) invested US$170 million in Sunshine project of aerospace components factory building a factory for processing and assembling aerospace components and components made of aluminum and composite in Da Nang; Golden Hill Investment Joint Stock Company (British Virgin Islands) invested US$147.5 million in a project building high-rise housing in Ho Chi Minh City. 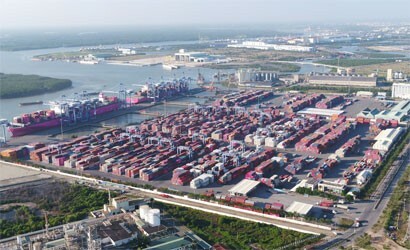 According to the Central Institute for Economic Management (CIEM), from the beginning of the year, Vietnam's economic growth in 2019 was estimated at 6.93%; export growth is forecast at 9.4%; trade surplus at US$2.04 billion; consumer price increase (average of 2019 compared to the average of 2018) is about 3.88%.